Protect your 13" MacBook Pro with custom fit laptop sleeve with USB-C port - made of Neoprene for long-term durability. Pluma is slim and lightweight. It features a squared bottom and minimalist profile. With Pluma, you can rest assured your device is protected with style. Custom-tailored for your 13-inch MacBook Pro with USB-C port, Pluma offers a snug fit while protecting your device from scratches and bumps. Its modern design features a squared bottom and minimalist profile, ideal for users looking to project an image of sophistication. More than just looks, Pluma offers three layers of protection: a soft inner lining to cradle your device, a neoprene middle layer to absorb shocks, and a stylish twill outer that is surface-coated to resist spills. A full-length external zipper keeps your MacBook Pro secure and is quad-stitched for long-term durability, while an internal pen loop keeps your pen or stylus neatly organized. 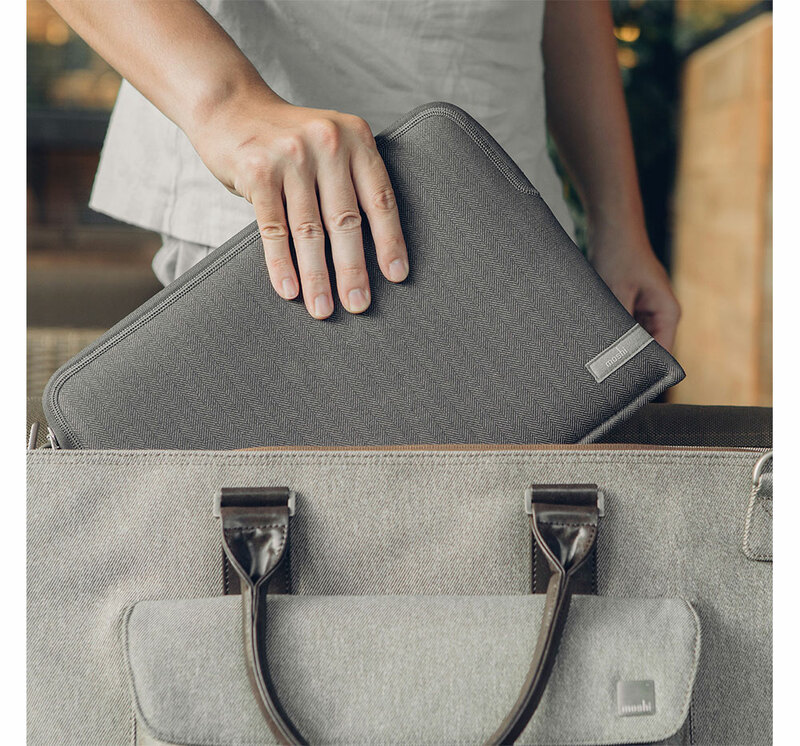 Ultra-lightweight, tuck Pluma under your arm to hand-carry or slide it into your bag and rest assured your MacBook Pro is always protected. Custom-fit sleeve for your MacBook Pro with USB-C port. Padded neoprene to protect your device from shocks. Water-resistant coating to ward off spills and stains. Quad-stitched full-length zipper to keep your laptop secure. Internal pen loop to carry your pen or stylus. Materials: spandex inner, neoprene middle layer, surfaced-treated polyester outer.